I like the looks of that. The sizing will be the deciding facor for me though .......... 2.25/2.1 would be ideal, but I am not too optomistic about that actually happening. Thats weird, never would have guessed the two would meet. The T1 tread indent is dope! T1 wallride marks all over the place. I hope it has thin sidewalls. Thick sidewalls are good for grinding durability but tend to ride and land harshly on anything that isn't perfectly smooth concrete. Thin sidewalled tires give you a much nicer ride and also happen to be lighter (roadies refer to them as 'supple' I believe). Mountain bikers set their tires up tubeless for this exact reason. The general bmx community is definitely too dumb to understand or try it but I'm surprised no one on bikeguide has tried it. How long until they're out? Didn't Empire post something about them after Interbike? someone here did, a guy from the uk who also rode mtb. it was AGES ago though. I saw somewhere that widths are 2.4/2.2. Small tire dudes can get fucked. +1 on thin sidewalls. 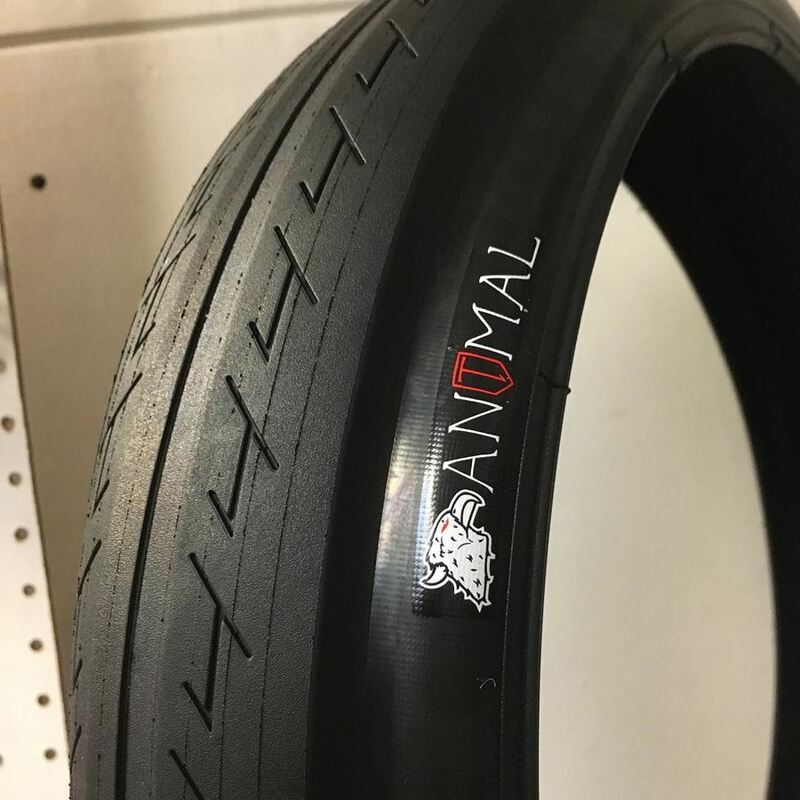 Don't Animal tires usually have pretty thick sidewalls? Sidewalls on GLHs are so thick you can almost ride them with no air. If someone knows of a good tubeless set up tutorial I willing to try it and report back provided it costs no or little money. I have and old hazard lite wheel and old GLH I can use. I tried a tubeless set up once, with stanz no tubes or whatever. It kept blowing off at like 50 psi, no bueno. Gorilla tape your rim instead of rimtape. Cut a 16" tube down the centre, around the top and stretch it onto your rim. Put your tire on between the flaps of tubes with a bit of sealant. Pump it up, cut off the excess tube hanging out.